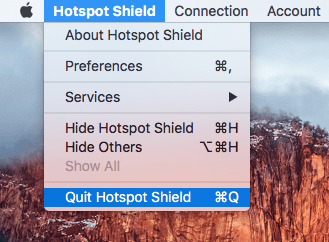 If for any reason you can’t uninstall Hotspot Shield from your Mac computer, follow our step-by-step removal guide. We will explain two methods on how to remove Hotspot Shield completely without leaving any trace so that to prevent any issues on your computer. How to uninstall Hotspot Shield manually. How to remove Hotspot Shield quickly. Close Hotspot Shield. For this, when Hotspot Shield is active, press ⌘+Q or go to the Menu bar and select Quit Hotspot Shield. Then remove Hotspot Shield from the Applications folder. As you can see, you should search for files using the developer’s name AnchorsFree. 4. Delete all the files related to AnchorFree and Hotspot Shield. Then empty Trash and reboot your Mac. Sometimes you may have some problems with the Internet connection but Mac rebooting will fix them. Well, searching for the support files of Hotspot Shield seems to be not an easy job. Moreover, each user may have a different number of support files and all of them may be scattered over the Mac hard drive. 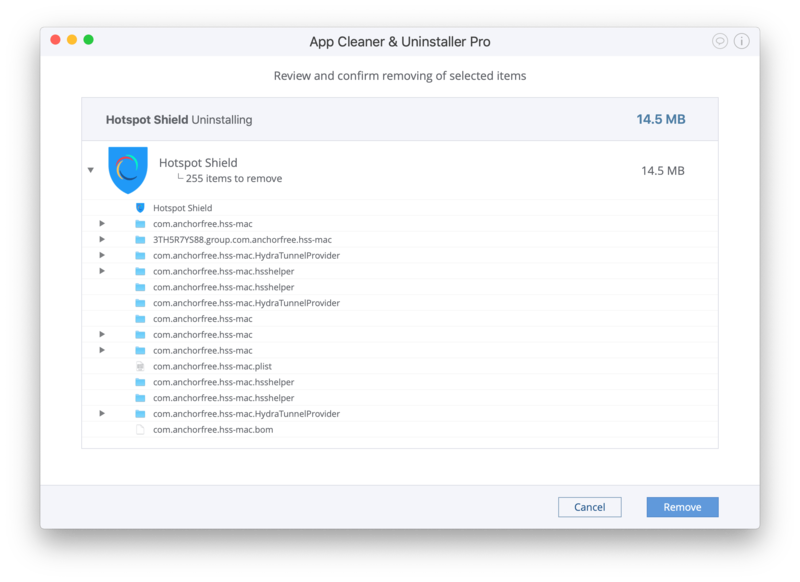 That’s why we recommend using App Cleaner & Uninstaller to delete Hotspot Shield from your Mac. 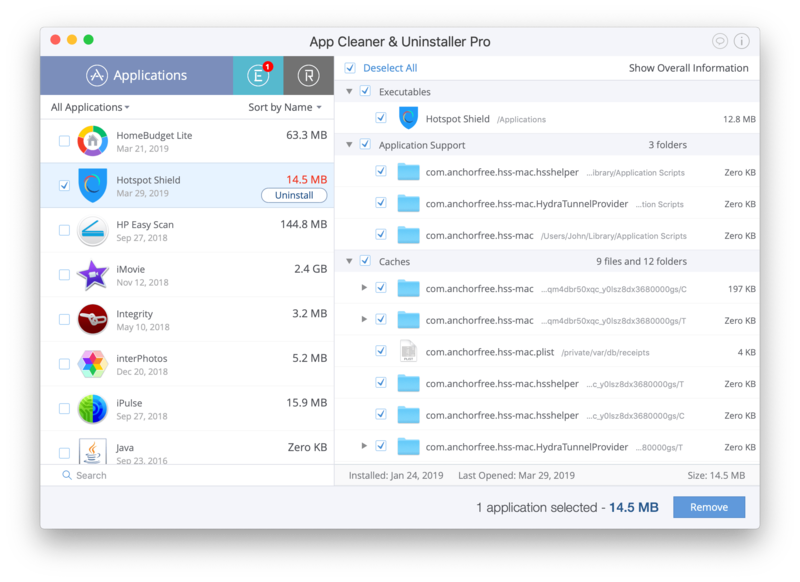 Download a special removal tool App Cleaner & Uninstaller. This utility is aimed to uninstall software with all their support files and folders. Launch the uninstaller and select Hotspot Shield from the list of scanned apps. Click to uninstall the VPN app.